Apple's iOS 10.3 is officially here, and with it comes two exciting new features for iOS developers and marketers alike to wield. 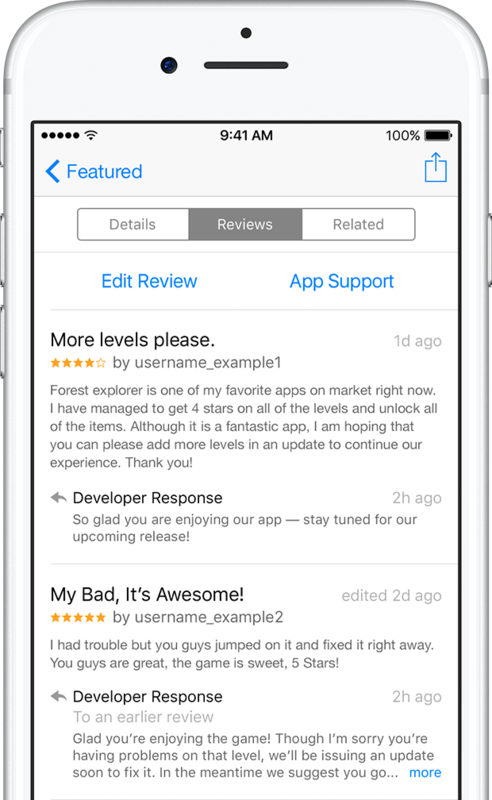 First, Apple will be allowing developers to request user ratings and reviews from directly within an app. 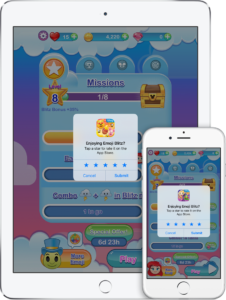 This is a major upgrade from the current requirement of deep linking users to an app's listing in the App Store, where they must re-enter their iTunes connect user credentials. This change promises to produce massive implications in app store optimization as the volume of user app ratings explodes, due to a higher conversion rate and more data on how/when/why users leave reviews. In fact, this review flow will eventually be required by Apple for requesting reviews. This move will likely be connected to Apple's review team investigating the way apps implement the review prompt for adherence to Apple's guidelines, which will in turn lead to more "real" reviews as developers are scrutinized and prevented from manipulating the ratings system, which may ultimately lead to an algorithm update by Apple, factoring more strongly for reviews after taking ownership of improving the review process and gaining visibility into the credibility of reviews. A photo from Apple's website showing off a game requesting an in-app review. The second review-related change that Apple is launching with iOS 10.3 will put Apple at parody with Google over the ability for developers to reply to user reviews. 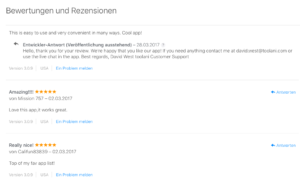 Developer replies to user reviews will be managed through the iTunes Connect developer account, in the "My Apps" tab. 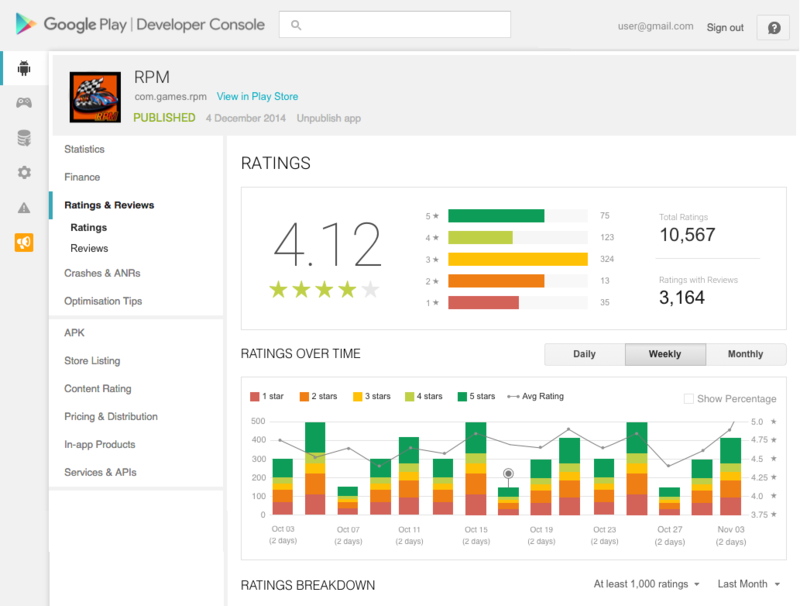 Hopefully this will also follow with a UI in the vein of Google's Ratings and Reviews sub-tab in the Google Play Console. 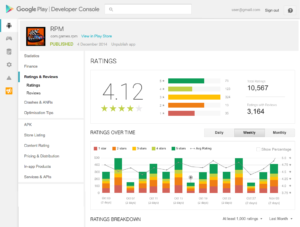 which gives developers good insight into patterns and themes in their user reviews, as well as provides a summary of the impact on rating of replying to user reviews. This change is especially something that iMessage apps may be thankful for. One question floated by the ASO industry is whether Apple will notify users when their reviews are replied to, and if so how. While seeing developers replying to reviews shows that they care, the biggest, quantifiable payoff is that replying to user reviews encourages users to raise their rating, which over time can shift an app's rating by a significant amount in aggregate. 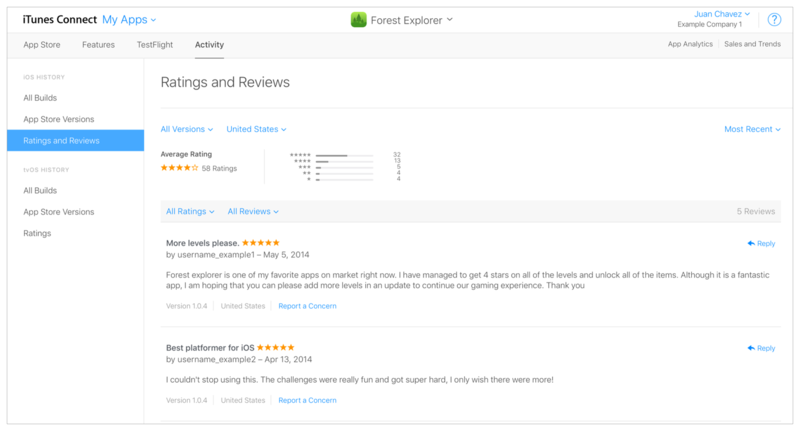 A photo from Apple's website showing off developer replies to user reviews from the mobile App Store app. 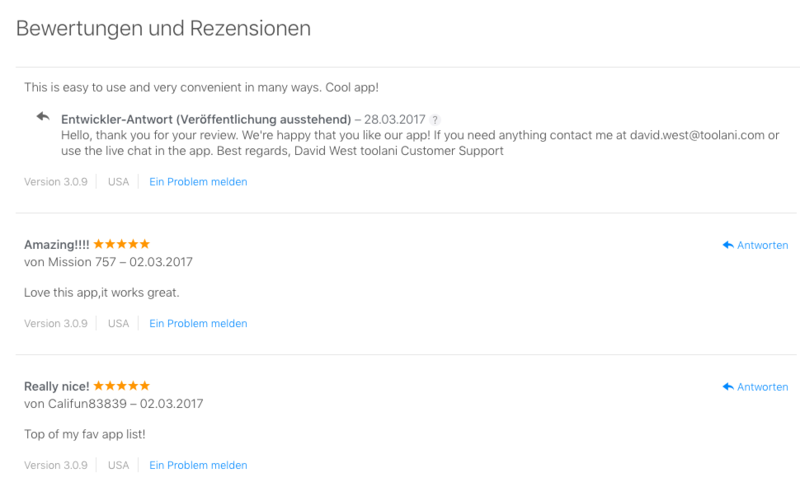 A photo from Apple's website showing off developer replies to user reviews from the iTunes Connect dashboard. 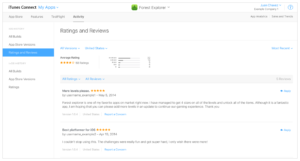 Apple's documentation is available via these links for in-app review prompts and replying to user reviews through Apple's iTunes Connect dashboard. 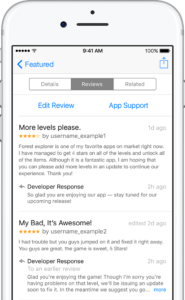 The Bottom Line: Get on Apple's new developer tools ASAP to raise your user app's review conversion rate and star rating via developer replies. Hop to it!